Freelance Technical Writer, with sales, marketing, and SEO experience. Company specializes in custom synthesis, and specialty products for the coatings additives, and numerous other industries. Details. Next Dinner Meeting - Tuesday, February 20th at the Pfizer Building (Venue). Speaker: Dr. Anil Gokhale, P.E., Director of Projects at AIChE (American Institute of Chemical Engineers). 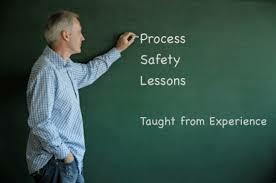 He has more than 30 years of experience in engineering, process safety, and process automation. Most recently, Anil served as Senior Vice President at DEKRA Insight, with responsibility for the company’s Process Safety business across the Americas. He previously worked for companies including Siemens, Honeywell, Rockwell Automation, and Raytheon. He has published technical articles in publications including the Oil & Gas Journal and Hydrocarbon Processing, and he has presented on a variety of technical topics for organizations including AIChE, the National Petrochemical and Refiners Association (NPRA), and the International Society of Automation (ISA). 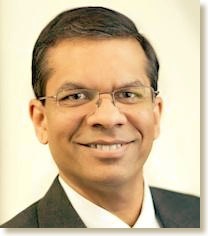 Anil earned his bachelor’s degree in chemical engineering from the University of Mumbai, and his Ph.D. in chemical engineering from Oklahoma State University. Abstract: The AIChE’s Center for Chemical Process Safety (CCPS) has long held that exposure to process safety subjects in the undergraduate curriculum will benefit both chemical engineering students and industry. On February 20th, Dr. Anil Gokhale, P.E. will provide details on AIChE’s Process Safety Education programs for both students and practicing engineers, as well as other member benefits. Full abstract. Fees and Deadlines: varies by professional category. * Guests and Non-Members: $40. Students: Students: Undergraduates - Free. Seating is limited, so please register early. How to Register. Deadline: No reservations taken after Friday, February 16th at 5 pm ET. If you are not a Member of this Section, you can apply the $15 additional amount paid as a Dinner Meeting Guest to a full Membership for 2018. Please notify Treasurer Andrew Sung that you wish to be a Member. Register Now. Speakers: from DeSimone Consulting Engineers, Richard K. Ladroga, P.E., Director – Energy, and Leonardo P. Garzon, P.E., Director - Southwest, Caribbean, and Latin America. When/Where: Thursday, Feb. 15th, 5:30 - 8:45 pm at the Headquarters of District Council 37 (AFSCME AFL-CIO), 125 Barclay St. (betw. Greenwich and West Sts., near the World Trade Center), New York, NY. Costs: $50 – mailed reservations and check required by February 8th. No "At Door" payments accepted. For additional information, contact: Wasyl Kinach, info@mescnyc.org or phone: (212) 669-2203.